You are encourage to use mail. Normal phone: calling directly one of the these numbers. Software/Hardware client : configure in few steps a sip/iax compliant client: in this way the call will be free. See "Configure a SIP client" or "Configure a IAX2 client"
Using the keypad (or the remote control) digit the CODE and press the pound key #. If the conference room is protected by a securiry code (PIN) insert it and press the pound key #. 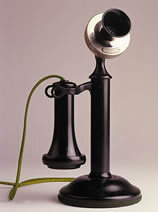 Codian is interoperable with the phone conference system (based on Asterisk). A dedicated number (2005) represent a bridge between the two systems. Call the phone conference system and when you will be asked for the conference number insert 2005. Codian will answer. ISDN phone numbers and IP addresses (check in this table for INFN systems or tell us the INFN section name).